Learn everything you need to know about how to buy and store apples so you can enjoy all your autumn apple recipes to their fullest! There’s even a handy-dandy FAQ section where you can find lists of the best apples for baking, eating out of hand, making cider, and many more! For some, autumn has arrived when pumpkins are everywhere. For others it’s apples. 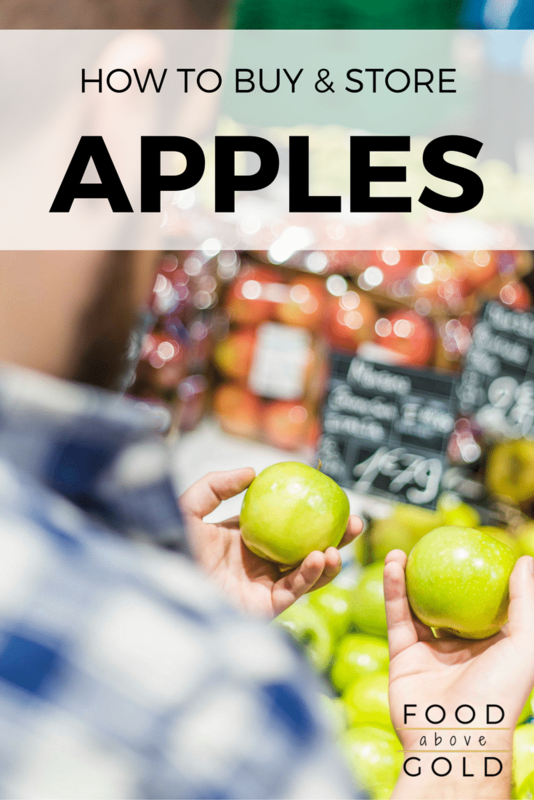 Whether you prefer green, red, or golden apples, today’s post has everything you need to know about buying and storing apples. Now, you can go to the store, farm, or market, and walk away confident in your purchase! If that’s not exciting enough, scroll down to get some great apple recipes and get a list of FAQ’s about apples. If you’ve ever wondered which apples are best for baking, or which apples are the crispest, the FAQ will have it! Depending on which region you are in, apples are in season beginning in late summer through fall. The warmer your climate, the later the season will begin. If you are going apple picking at an orchard, make sure to call ahead to find out which apples they currently have on the trees. The earlier in the season, the tarter the apples tend to be. This may make you want to wait a week or two before going to the orchard depending on the flavors you enjoy and what apple recipes you may be making. Apples grow best in temperate climates with cold winters and moderate summers and a single apple tree can produce around 75-125 pounds of fruit. The entire apple is edible, but many people do not eat the seeds or core because the seeds contain a cyanide compound. While normal consumption should not make eating the seeds toxic, it may cause an upset tummy for some. Make sure to talk to you doctor immediately if you notice any odd symptoms. Should I Buy Organic Apples? A few years back, apples got blacklisted as one of the “dirty dozen”. These fruits and vegetables are regarded as having the highest toxicity from pesticides. While apples have held the #1 spot for most contaminated fruit five years running, it was knocked out the top spot this year by strawberries. I’m sure pesticides aren’t on the ingredient list of any of the apple recipes you may be making, so what can you do about it? You have two choices: buy organic, or clean your apples the best you can and be okay with it. The testing that is done for determining the dirty dozen is based on the residue on the produce at the grocery. If you bring it home and clean them again before consuming, you’ll reduce the residue even more. Peeling will also help reduce residue consumption even further. Rinse. Most of us are likely to just quickly pass the apple under the some running water, but that isn’t enough. Use warm, constantly running water and use your fingers or a produce brush to gently rub the entire fruit. This process should take at least 10 seconds. Don’t feel like your fingers are doing the trick, but you don’t want to use an abrasive brush? Try using some coarse salt to clean your apples. Bath. Using a cleansing bath for your produce is a great idea, especially if you have a lot to clean. Always make sure you are using a clean container, not your sink, for the bath to prevent contaminating your apples with other basic kitchen germs. From there, it becomes your choice on whether or not to use plain water or make it a solution with something like vinegar. If you choose to create a solution, make sure to read up (from a reliable source, please) on the correct ratios, and make sure you’re using the correct product for the job. Check out this video on Huffington Post about the results of a family going organic for two weeks. Whether you’re at the grocery store, a farmer’s market, or picking them fresh from the trees, here’s what to look for for the freshest fruits! Both your taste buds and your delicious autumn apple recipes will thank you! Firm. The apple should feel firm to the touch. If it gives a lot when a little pressure is applied, it is beginning to go bad. Appearance. Your apple should have no signs of decay. Watch for spots that are mushy and a peel that is extremely dull. Color. This isn’t a great determinant because each variety will be different. They key is to look for apples that have full coverage color throughout the whole fruit. This means it had great sun exposure, which often means better flavor. If you’re eating a Red Delicious, but it’s a little yellowish-green at the top then it may not be as good as one with consistent color throughout. Wax. Some of the apples you find at the store come waxed, and that’s why they look so shiny (see FAQ’s for more info). If you notice a normal apple has skin that feels waxy though, that’s usually a sign it is overripe. Smell. Your apple should smell fresh and pleasant. If it has a grassy smell to it, it may not be very ripe. Note: Some varieties (like Gala) don’t have a lot of fragrance. This is not a bad sign, just look for an unusual smell. Weight. When you pick up the apple, is should feel heavy for its size. Size. Apples, unlike strawberries, do not have a dramatic change in quality of flavor based on their size. Use. This one probably seems too obvious, but different apples serve different purposes. Some are better for baking yummy apple recipes, while others are better for eating out of hand. Then there are those that are just wonderful overall. Check out my FAQ further down for a list apples and what they are often best for. I would like to take a minute to talk about food waste. Apples are often discarded for the simplest dings or bruises, when often these are not signs that they are bad, just that they are real food. This is only a concern if you’re storing them long term (see below) which is exactly why I did not include looking for these things in the list above. Let’s work together to reduce food waste, friends! 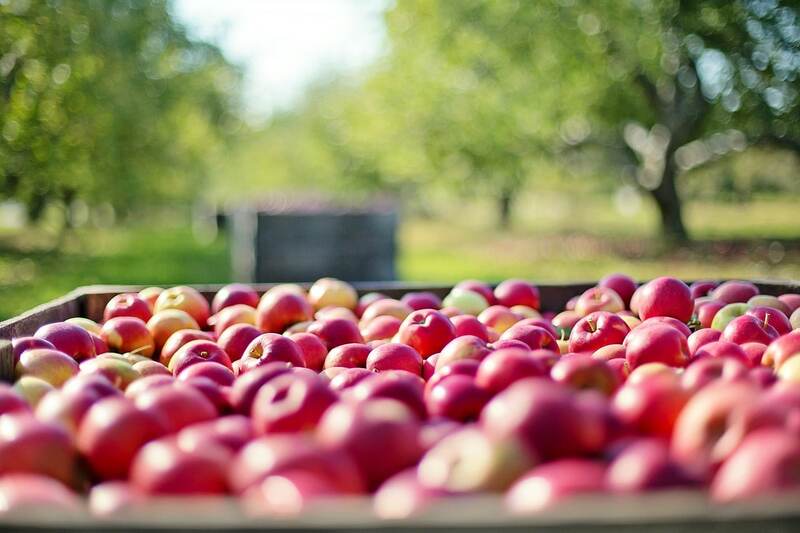 Did you know that Washington state is the largest producer of apples in the country? When I moved here I was amazed at the quality of apples available in the farmer’s markets in April! About two months ago, I started noticing signs about the stands selling a “fresh crop”. Prior to here, I’ve never lived in a climate where, when properly stored, you can easily keep apples year-round. Once you’ve picked out your excellent collection of apples, keeping them fresh is the next step. 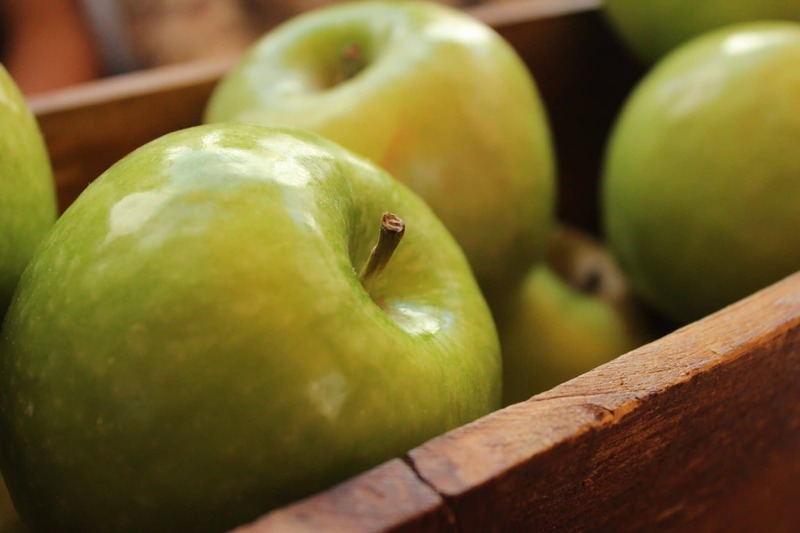 Apples let off an enzyme that forces everything around them to ripen faster. The key to long lasting apples is temperature. Specifically cold temperature. While this isn’t necessary if you are storing a bag of apples that will be eaten within the week, it is great if, like me, you picked way too many on that trip to the farm. Ripening. Keep your apples separate from other produce to prevent force ripening them. Humidity. If you actually use the “crisper” drawers in your refrigerator and adjust the settings, put your apples in a tightly sealed bag under high humidity. You can even add a damp towel in the drawer to make sure there is enough humidity. Temperature. You want your apples to be stored cold enough to prohibit the production of the ripening enzyme, but not so cold that it freezes. Somewhere between 35°F-40°F is ideal. Variety. Each variety ripens at it’s own rate. If you are storing many different varieties, keep them organized by type, don’t mix them all together. Checkups. Every now and then (based on how long your are storing your apples) check on your apples and promptly remove any that are going bad. Have you ever heard the phrase “One bad apple ruins the bunch.”? Well, it’s absolutely true! When one goes bad, it tends to make the ones it touches do the same. It’s a bad cycle and ruins your stock quickly. Pull out for eating the ones that are bruised or have soft spots. Only keep perfect apples for long term storage. If you are storing a lot of apples long term, consider wrapping each individual apple in paper before storing. This will help delay one bad apple ruining the entire lot. It will however, make it harder to see when the apple as gone bad. Choose a paper that is easy to notice if it has become damp. What apples are the crispest? Which apples are the sweetest? Why are some apples shiny? Often, the apples that you see at the grocery store are waxed to give them a more alluring and shiny appearance. Why are apples waxed? This helps them store better by creating a barrier that will prevent one apple from making the rest go bad. It also helps retain moisture so they stay tasty for a nice long time. Don’t worry though, the wax that is used is 100% food-grade and is indigestible, so it will just pass straight through your system. It may, however, affect the texture of your apple recipes. Which apples have the most pectin? This question is usually only pertinent to people who do their own canning or are looking to use apple peels to make jelly. If you’re looking to make homemade pectin, the best indicator is color. Red apples have more pectin than yellow or green, and the darker they are the better. Which apples make the best applesauce? Here’s the great thing about applesauce – any apple will be great as long as you like the flavor! You don’t have to worry about the texture with the applesauce since it will be so heavily cooked and puréed. Focus on what flavors you enjoy the most, and you’ll make an applesauce you love. What should not be stored with apples? Just like how apples let off an enzyme that ripens, potatoes do the same. When they are stored near each other, it often means that neither of them will last very long. Additionally, if you store your apples near onions, they may absorb some of the oniony flavor. Why do apples turn brown? 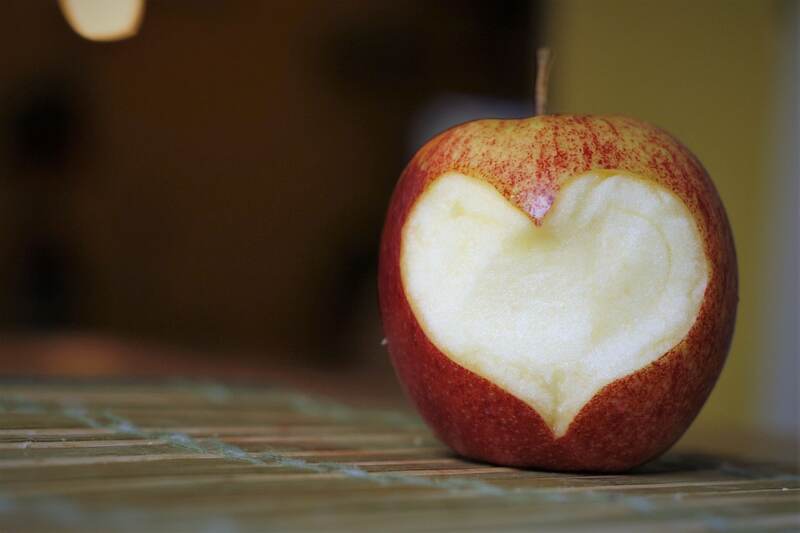 When an apple is cut into, it starts the process of oxidation – which is exposing the flesh to oxygen. This doesn’t really indicate that the apple has gone bad (unless it’s also begun to smell bad or vinegary), it is just visually unappealing. Similar to an avocado turning brown. For more detailed information on the science of oxidation, check out this article from Scientific American. Best apples for juicing/cider? This is the same as with applesauce – it’s best based on your flavor preferences. If you like it sweet, buy sweet apples. Maybe you prefer them tart, go with tart apples. If you’re unsure about what you want, go with an apple that is “best overall” as it tends to have a more balanced flavor and texture. See the list below. What apples are best overall? Practice Makes Perfect with these Apple Recipes! Also, don’t forget to sign up for the monthly email list to get exclusive recipes (that don’t show up on the blog) delivered to your inbox! The sign up is on the right sidebar. What is your favorite kind of apple and what apple recipes do you like to make? Do you have any tips or tricks for buying and storing apples? Tell me about it in the comments or show me on social media – @foodabovegold. If this post helped you with your apple mastery, show me a picture and tag it #CallMeMichelin.